On the 21st of January the UK Government published its long-awaited Domestic Abuse Bill. The 196-page long document focuses on a wide range of issues from providing a first statutory definition of domestic abuse to the recognition of economic abuse as well as controlling and coercive non-physical behaviour. In recent years, abuse facilitated through information and communication technologies (ICT) have been growing. Efforts to mitigate these forms of abuse (e.g. social media abuse or cyber stalking) are already underway, but we expect new forms of “technology-facilitated abuse” (“tech abuse”) to become more commonplace amongst abusive perpetrators. We are currently seeing an explosion in the number of Internet-connected devices on the market, from gadgets like Amazon’s Alexa and Google’s Home hub, to “smart” home heating, lighting, and security systems as well as wearable devices such as smart watches. What these products have in common is their networked capability and many also include features such as remote, video, and voice control as well as GPS location tracking. Whilst these capabilities are intended to make modern life easier, they also create new means to facilitate psychological, physical, sexual, economic, and emotional abuse as well as controlling and manipulating behaviour. Although so-called “Internet of Things” (IoT) usage is not yet widespread (there were 7.5 billion total connections worldwide in 2017), GSMA expects there to be 25 billion devices globally by 2025. Sadly, we have already started to see examples of these technologies being misused. An investigation last year by the New York Times showed how perpetrators of domestic abuse could use apps on their smart phones to remotely control household appliances like air conditioning or digital locks in order to monitor and frighten their victims. In 2018, we saw a husband convicted of stalking after spying on his estranged wife by hacking into their wall-mounted iPad. The risk of being a victim of tech abuse falls predominantly on women, and especially migrant women. This is a result of men still being primarily in charge of the purchase and maintenance of technical systems as well as women and girls being over-proportionally affected by domestic abuse. The UK Government has a chance to take the lead in addressing this evolving threat, but has so far not taken this route. It will now require parliamentarians to realise that the expansion of IoT systems, together with the increasing digitisation of society, demands proactivity and foresight. New legislation that recognises this could make the UK more resilient to the transformation that technology-facilitated abuse will undergo in the near future. It is positive to see that the draft Bill is being scrutinised by the Joint Committee on Human Rights, a cross-party group of MPs and Peers, and we are in the process of responding to their call for written evidence. An explicit acknowledgement of smart systems in the Bill would send a strong signal to the police that they need to ensure they have the technical capability to investigate such cases. It would help to raise awareness of tech abuse across statutory and voluntary support organisation, and encourage tech companies responsible for developing IoT products to build in safety features by default into their devices. 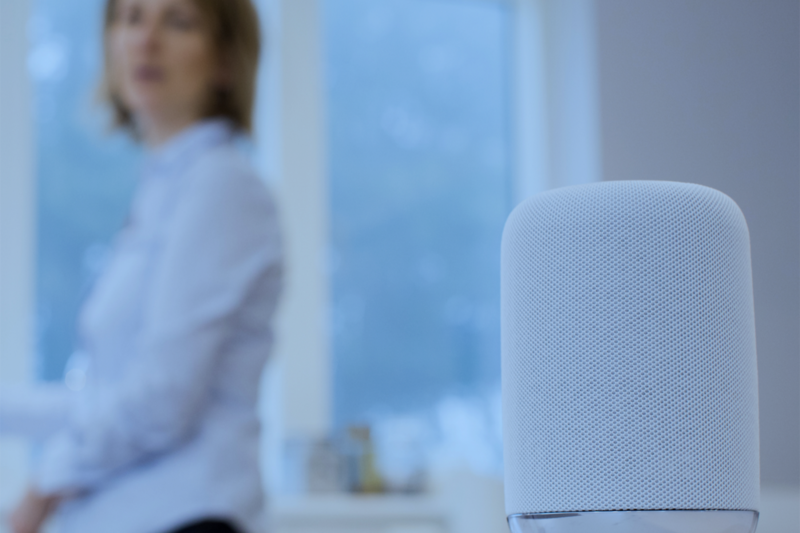 It would also align with the UK Governments IoT Code of Practice as well as the upcoming Online Harms White Paper, which is expected to address the wide range of online dimensions associated with domestic abuse. Additionally, the Bill should acknowledge that the increasing use of technology in our day-to-day lives intensifies the pressure on the support sector that works with victims and survivors of domestic abuse. Currently there is a lack of expertise and enforcement measures to tackle tech abuse cases. Charities, NGOs, and refuges have told us throughout our research that they feel ill-prepared to deal with “conventional” cyber risks via phones, laptops, and associated apps, and in particular social media. Further technological progress (e.g. through virtual and augmented reality, deep fakes) will demand even greater support and capabilities, which is something neither statutory nor voluntary support services are currently able to offer. In our response to the open consultation on the draft Domestic Abuse Bill held last year, we used the research and engagement with the support sector to propose that tech abuse training and guidance must account for technological advances and the risk trajectories that IoT devices bring. While our research team has published resources and evidence-based information leaflets, the missed opportunity to address all facets of tech abuse in the draft Bill could have severe consequences for some of the most vulnerable groups endangered by these systems in the future. Without much-needed dynamic guidance, sufficient funding for frontline workers, as well as public scrutiny of tech companies, we may soon be faced with risks that are hard to reverse owing to the legacy of devices already created. Parliament should, thus, wake up to the challenges and demands of the 21st century and wisely use its chance to amend the draft Bill in order to put forward a well-rounded, future-proof legislation. For more information on the “Gender and IoT” research, please visit the UCL STEaPP website.